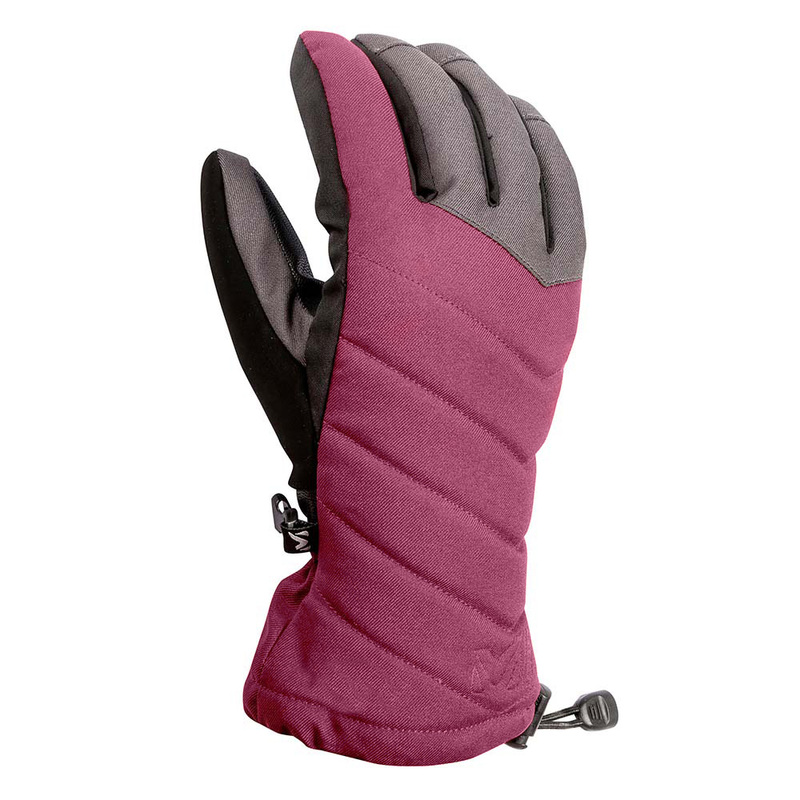 Elegant yet functional, this new women's glove is built for freeride and boasts a modern design and high protection. The DRYDEGE membrane inserts create a weather barrier and will help you forget the cold weather. Lightweight and warm, the HYPERLOFT insulation is a good thermal protection with continuous feed and breathability, ideal for action. It is lightweight and the women-specific design features an articulated fit and stretch inserts. The elastic cuff makes the glove easy to fit. The high gauntlet seals out the elements and keep the warmth inside the glove. An anti-slip palm allows a good grip on ski poles.